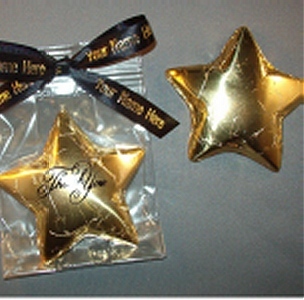 Two ounce foiled solid chocolate star is packaged in a cello bag, tied with imprinted ribbon. 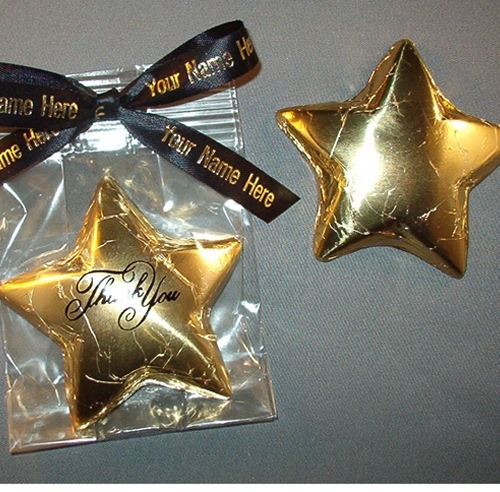 Great for corporate events, incentives, and favors. Other ribbon colors are available. Inquire. Very, very elegant. You can select foil color: Silver, Gold, Red, or Green. 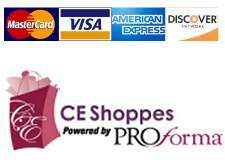 Inprinted Ribbon is available for $16 Set up fee and $.10 each piece. The minimum order is 50 pcs. No Less Than Minimum Orders.